EUGENE, Ore. — City of Eugene crews are busy this week collecting new traffic data as a test run continues for the three-lane setup along South Willamette Street. Commuters and bicyclists are still in the middle of the year-long test drive and city hall says overall public reaction is positive to the change from four lanes to three, but some folks still have their doubts. Traffic engineers have returned to South Willamette Street for more data collecting and observation as the experiment rolls into the final five months. The city re-striped South Willamette last year from 24th to 32nd with an eye toward safety. “Overall the public reaction has been positive about how the pilot study is working for people traveling,” said Project Manager Chris Henry. 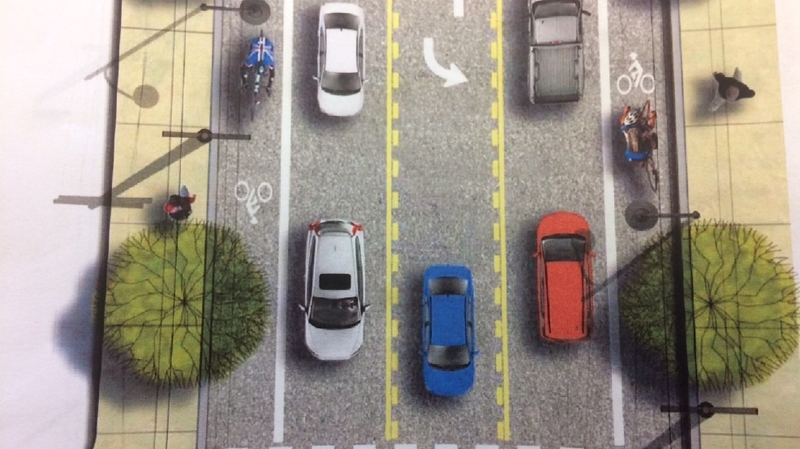 The old lines for four lanes were rubbed out in favor of a three-lane plan which includes a center turn lane and bike lanes on the sides. “There is some congestion in the northbound direction in the mornings but in the evening peak it seems to be functioning rather well,” said Henry. He adds the latest accident data from Eugene Police Department will be tapped to see if crash numbers have dropped. Some citizens are weighing in with their opinions on the three-lane test. “I feel safe riding the bike lanes and I use the turning lane too,” said bicycle mechanic Sam LaClair. Emily Dolling, a barista, says those are typical comments from customers at Quick Fix Coffee Company. Her vote is to go back to four lanes, or do something about the traffic jams that often happen in the turn lanes. The pilot test period runs through July on South Willamette. Henry says Eugene city councilors will meet again this fall to make a decision on the lane plan. Re-striping would occur when the street goes through a complete reconstruction job in 2018. March 3, 2017 in Community Events, traffic, Transportation.